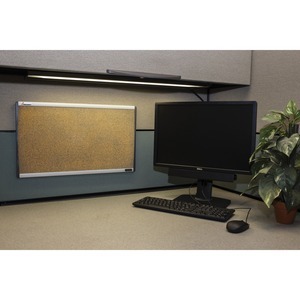 Keep important information on display within your cubicle using this natural cork bulletin board. Cork surface self-heals so pinholes won't show. Tan-colored cork layer is backed by a high-density fiberboard. Frame is made of satin-finished, anodized aluminum to complement your decor. Flexible mounting system secures to cubicles or drywall.